Hello, and welcome to our newsletter! In this issue, we have baby creams that might just be adult products repackaged, BMW cars that may be emitting illegal amounts of nitrous oxide, and news on the Facebook and Cambridge Analytica lawsuits that have been making headlines around the world. Read on, and let us know what you think! BMW is continuing the trend of automakers being caught up in legal action in the wake of 2015's emissions scandal. If you don’t recall, Volkswagen was the first company to be accused of installing "defeat devices" in certain diesel vehicles to cheat emissions testing. 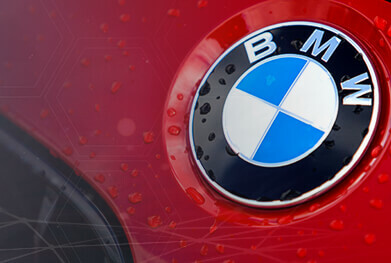 Similar claims followed against GM and Ford and now attorneys are looking into vehicles manufactured by BMW. Specifically, they're looking to speak with anyone who owns or leases a 2009-2013 BMW X5 or 2009-2011 BMW 355d diesel vehicle to help keep the litigation rolling. A successful case against BMW could provide drivers compensation for the premiums they paid for the supposedly “eco-friendly” vehicles. If you think this applies to you, be sure to check out this page. Drivers of certain Audi Q7 vehicles have been complaining of squealing and squeaking noises coming from their cars’ brakes, particularly when the vehicles move in reverse. Some of these complaints mention that the squealing sounds like the brakes “don’t have any pads on” and claim that the noise is “constant” and “embarrassing.” So far, no fix has been offered by dealers or the manufacturer, yet Audi has reportedly acknowledged the problem and told drivers that it’s widespread. A class action lawsuit, if filed, may be able to help drivers get back any money already spent trying to fix the problem and force Audi to disclose the full extent of the issue and offer a viable solution. If you’re affected by this issue, get in touch today. A quick browse of any store shelf will show you plenty of products designed specifically for babies. Naturally, this includes skin creams and ointments, formulated for children's more sensitive skin. But are they really formulated any differently? Attorneys working with ClassAction.org are currently investigating whether some products sold as “baby” creams are actually just their adult equivalents repackaged and repriced for more money. 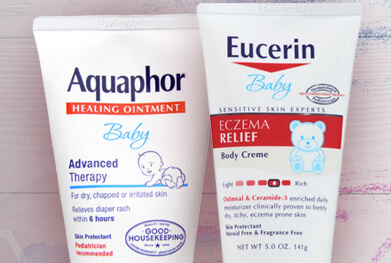 At the moment, attorneys have identified Aquaphor “baby” healing ointment and Eucerin “baby” eczema relief cream as two products they’re looking into. According to the creams’ own labels, the baby and adult creams have identical lists of both active and inactive ingredients – even though the baby products are often sold for up to 80 cents more. If you bought these creams, the attorneys would like to hear from you as soon as possible. Read more on our dedicated page. A possible design defect in some LG clothes dryers may be creating a substantial fire hazard. Attorneys suspect that, in this case, lint can build up behind the drum and come in contact with heating elements. Because this area isn’t accessible, consumers may not know the lint is gathering until it’s too late. People have already complained of a burning plastic or rubber smell, burnt wires at the back of the machines, a smoky smell on clothing, and even fires that destroyed the dryers and surrounding property. A class action lawsuit could help pay for the cost of replacing or repairing the machines, as well as any damage caused by a fire. Similar lawsuits have been successful in the past, so if you use or own an LG dryer, read this page to learn more about the issue and what you can do. If you took out a mortgage loan from Wells Fargo and accepted the bank’s “temporary payment reduction” or “rate buy down,” you may have paid more than you would have had you kept the original, higher interest rate. How so? Well, the gist of the issue is this: when Wells Fargo offers mortgages, it often gives borrowers the chance to “buy down” the loan’s interest rate for the first few years – normally, but not always, in exchange for an additional payment at the time of closing. While this may sound like a good deal, attorneys now suspect that Wells Fargo never applies the lower interest rate to the borrower’s amortization schedule, meaning the borrower has paid the lump sum and still ended up paying the higher interest rate over the life of the loan. This can happen even if the statements the homeowner receives look like he or she is saving money. A class action lawsuit, if successful, could seek compensation for the money improperly paid to Wells Fargo and require the bank to change its mortgage loan practices. Read on. The first class action lawsuits have been filed against Facebook following accusations of data mining and the use of people’s data without their consent. While it may be for history to judge whether the companies at the heart of these suits had any hand in swinging the presidential election, consumers and shareholders have reacted strongly to news that personal data was used and sold without permission, with reports now finding that 87 million users’ data was improperly collected by third-party actors. It’s a complicated story with a lot of moving parts, so head on over to our blog to read a great explanation of what’s been going on. Let’s face it: cryptocurrencies aren’t for everyone. For every article about their exploding value, another appears trying to explain, in simple terms, what all these things mean. Still, there’s no denying the growing importance of digital and decentralized currencies. There’s real money behind all the jargon, and where there’s money, there are people who might take advantage. A proposed class action lawsuit filed in California claims that Coinbase, Inc., one of the most popular exchanges for cryptocurrencies, allowed insiders to benefit from privileged information that led to increased Bitcoin Cash prices – and that “outsiders” paid the price through no fault of their own. Read our take on the case, and a quick guide to what it all means right here. More than 13,000 lawsuits claiming Essure birth control harmed women’s health must be combined into a master complaint, a judge in California has ruled. The suits were filed across the country after thousands of women experienced problems they claimed were caused by Essure devices migrating from their fallopian tubes, piercing organs, corroding, and causing other problems due to an alleged design defect. The litigation has been complicated at times and, in this latest ruling, Judge Winifred Y. Smith said she’d been “gently” suggesting the move for some time before deciding to enforce it. Bayer HealthCare continues to fight the suits.